We surveyed hundreds of design-build firms across nine of the country's most active remodeling markets, to finally answer the question: what is competitive pay? In Atlanta, average pay across the four positions surveyed for is more than 16% less than in the other eight markets. It’s 28% cheaper to live in Atlanta than New York, yet the average carpenter’s pay is 34% less than the Big Apple. That suggests that compensation in Atlanta is not keeping pace with the cost of living. Moreover, only 43% of the remodelers surveyed in Atlanta offer medical benefits, the second lowest figure for every major market we covered. The average total revenue for Atlanta companies in the study was $2.2 million. Atlanta, along with much of the country, is suffering from a severe shortage of production staff. In Atlanta, average pay across the four positions is more than 16% less than for the other eight markets, and too low to keep pace with cost of living. But while remodelers there are certainly paying less, the data is not completely what it seems. 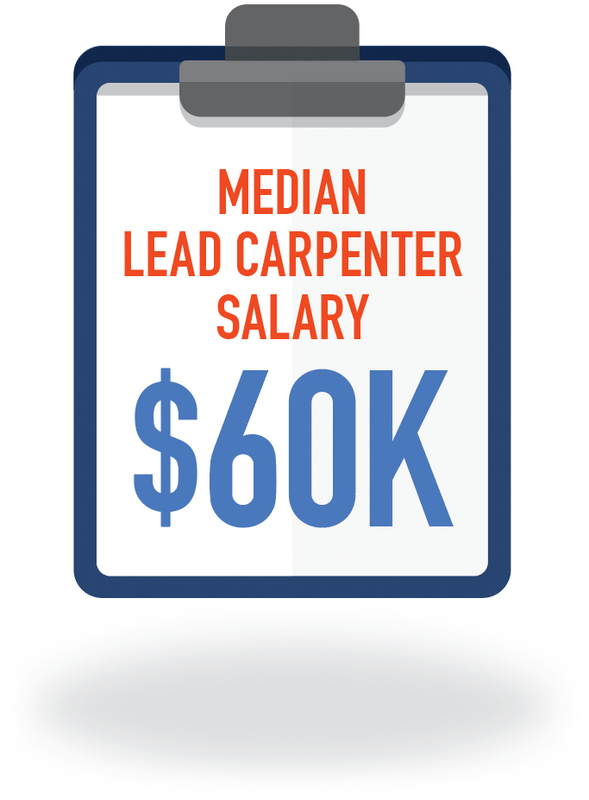 For example, lead carpenters have a median salary of $60K, nearly $5K less than the average, or mean. 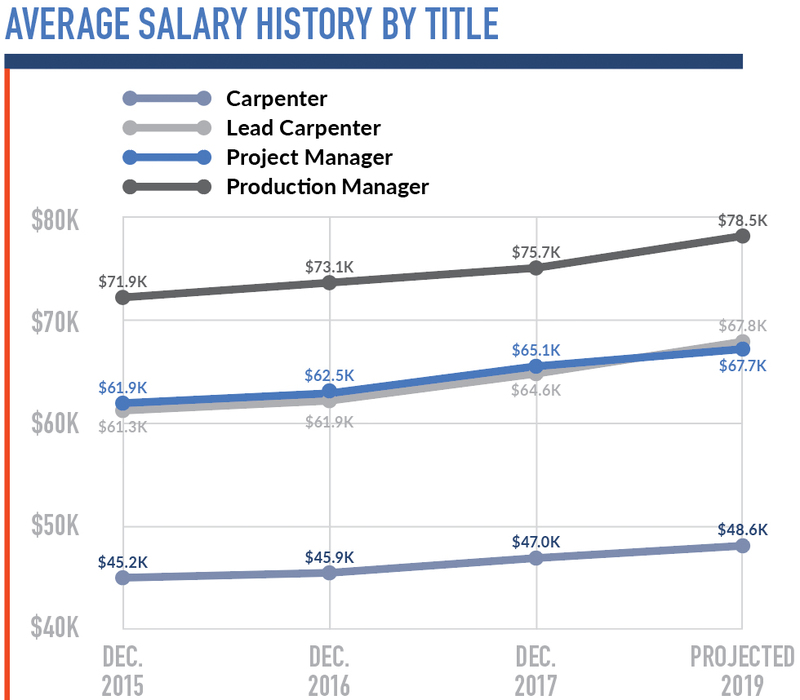 This points to more salaries at the higher end, meaning a few low numbers pulled down the entire average for lead carpenters. Carpenters with 2-5 years’ experience are paid better than their counterparts in every market but San Francisco. They also out-earn Atlanta carpenters with a higher number of years under their belt. The city’s low wages overall could reflect a shortage of workers at both extremes of the experience scale. 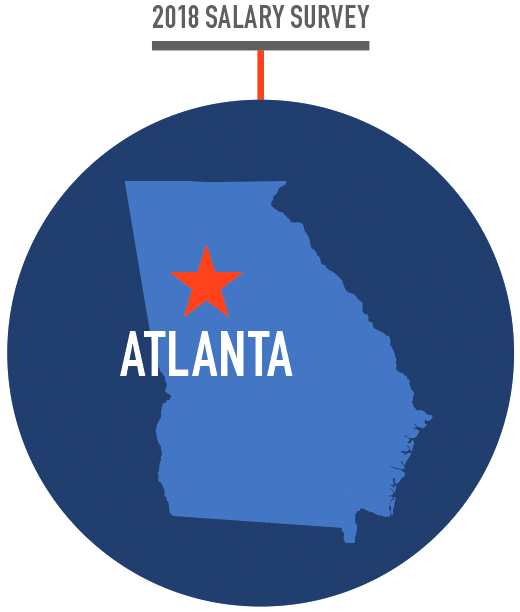 Atlanta lags behind other markets in rewarding job-related education. Carpenters fare best, earning 10.3% more with education than without (the average for all cities is 10.2%). Leads actually earn 7.0% less, while project and production managers earn 3.2% and 1.0% less, respectively. The rate of increase in Atlanta wages has jumped from 1.3% two years ago to 3.7% last year and is projected to increase slightly, to 4.0% in 2019. Average wage growth for all positions in Atlanta for the period from 2015 to 2017 was 5.0%, slightly behind the nine-city average of 5.3%. 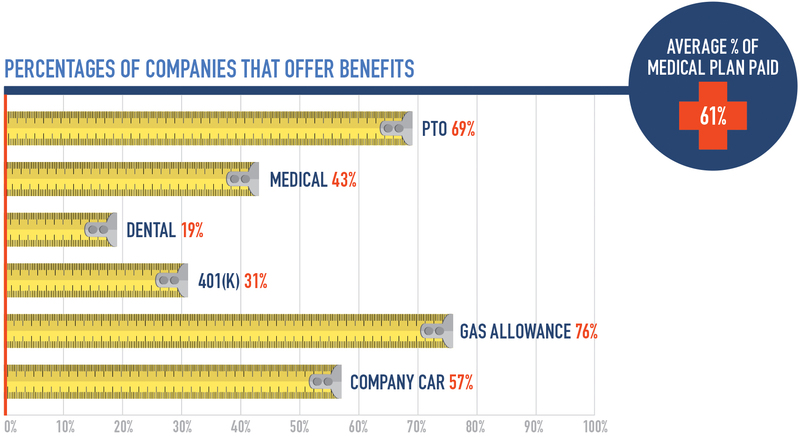 Among the nine cities studied, Atlanta ranks last or next to last in the number of companies offering paid time off (PTO), medical, dental, and 401(k) benefits. Gas allowances are offered by a slightly above-average number of companies, and the number offering company vehicles ranks second overall.